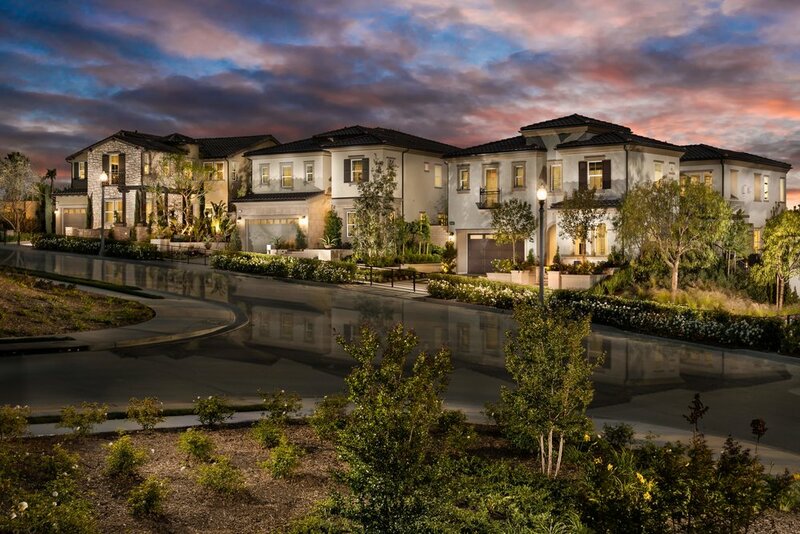 This model complex, with floor plans from 3,200-3,600 s.f., consists of 3 resort-style gardens which overlook one of the community’s recreation centers, and are designed to provide true outdoor living and entertaining. Plan 1 features a modern garden with black tile, rim- flow pools,a contemporary fireplace, and courtyard bar with a unique see- thru, water-glass wall backdrop. Plan 2 evokes notes of Bali with a ‘ floating’ shade pagoda, exotic wood pool decking and sunken outdoor media room. 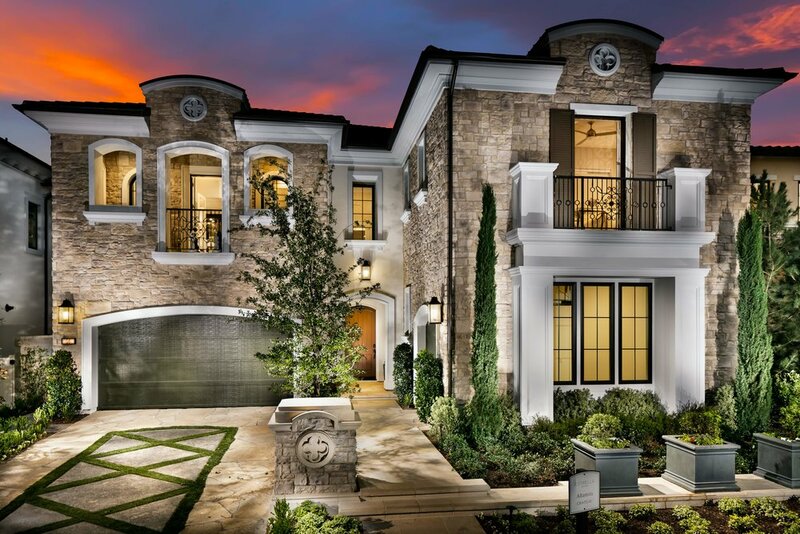 Plan 3 brings forth refinement of a formal, classic Tuscan garden with a large swimming pool and fountain wall, flanked by raised sunning, dining and entertainment terraces with stately wood trellis structures.